I can't believe that a month of 2016 has already passed. We were busy with work, school and gymnastics competitions every weekend. February weekends are a little less busy which I'm looking forward to. I'm enjoying doing Project Use It Up because it is helping me put goals into smaller, manageable chunks. This is the update for January and goals for February. I was able to meet all my January goals so I'm excited to be off to a good start (top post it). 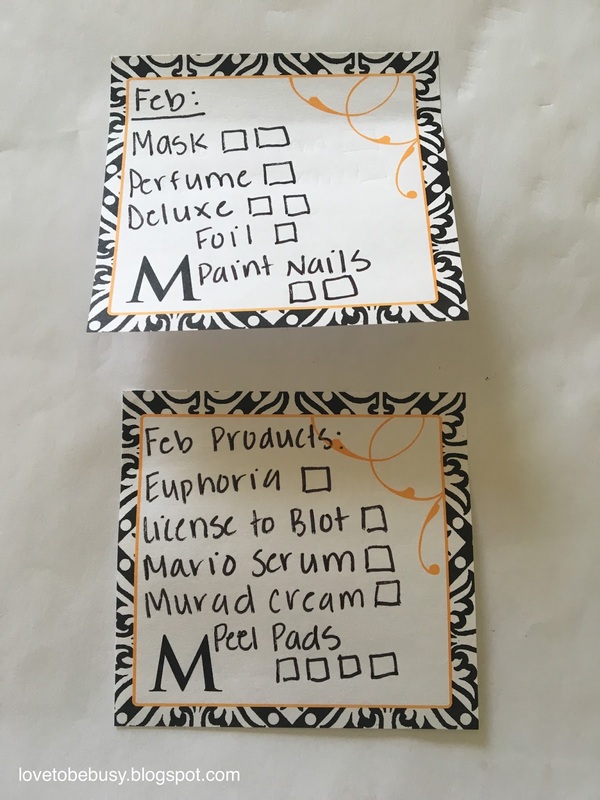 I didn't finish all the products I anticipated (bottom post it) but I am rolling some them over to February which you will see at the end. One goal was to finish 1 foil pack. I have a lot to go through so I will be trying to finish more than 1 a month but my goal is at least 1. These are the two products I finished in January. The top was SW Basics Exfoliant. It is a powder that you mix with water and then massage onto your face and rinse off. I like that it has very few ingredients and the ingredients are natural. I usually exfoliate in the shower which is difficult with a product like this that needs to stay dry. 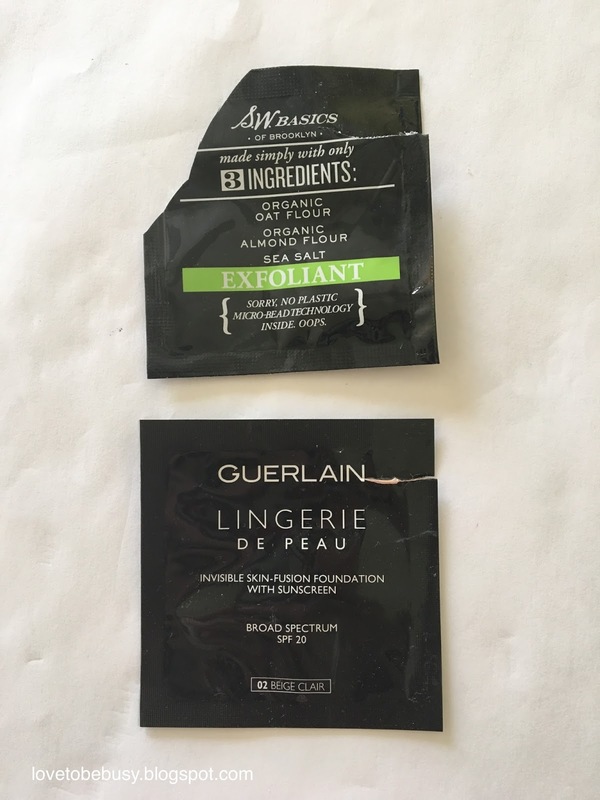 The other sample was Guerlain Lingerie de peau foundation. This was too full coverage for me. These are products I will be working on in February but don't anticipate finishing. 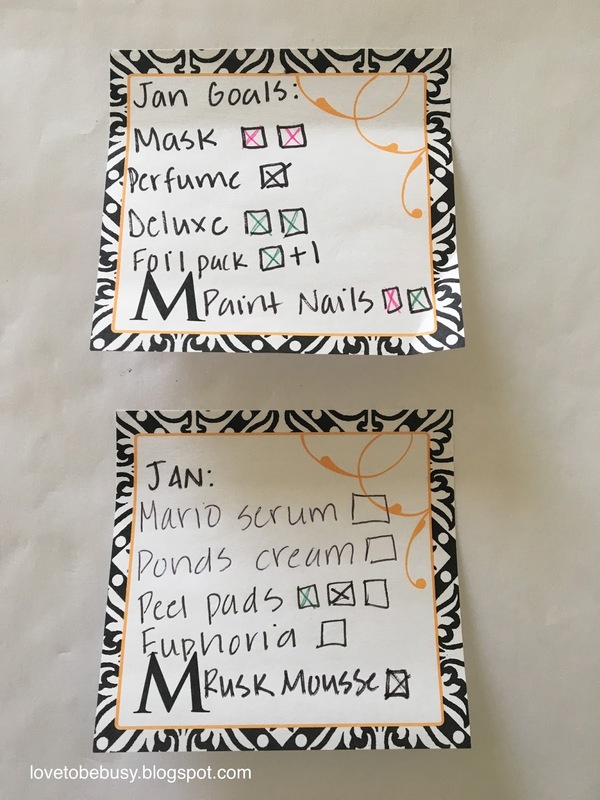 The Kerstin Florian are the peel pads listed in my goals. They are starting to dry out so I am including using 4 pads in my February goals to try to finish them up. I am following up the peel pads with the Laniege sleeping mask to add moisture back into my skin. I set the Ponds night cream aside last month because the combination of this cream and the Mario Badescu serum makes me super oily at night. 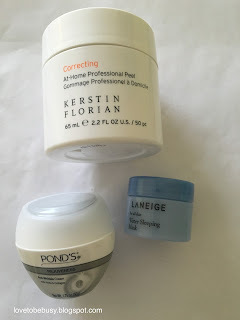 I will use the Ponds cream again once the Mario Badescu serum is finished. I would like to finish these 3 products in February. 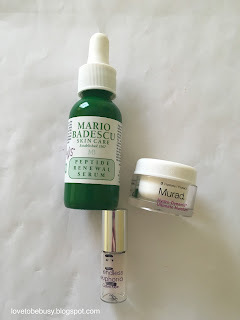 I've been using this serum for a long time and thought it would be done awhile ago. I'd really like to have it finished this month. I started using the Murad moisturizer sample in place of the Ponds cream at night. It is a tiny sample and I should finish it this month. I am almost finished with the Calvin Klein Euphoria perfume and hope to finish it this month. These are my February goals. I have kept the basic goals the same although I do hope to use a mask more often than 2 times during the month. However, these are the minimum I am aiming for. 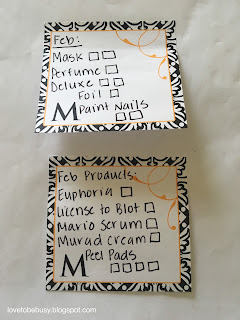 I have shown all the products I'd like to finish except the License to Blot. This is a stick product and is a deluxe sample I tried to finish in January. It isn't a product I use or like so I just want it out of my collection. Let me know your goals for the month and if you're doing Project Use It Up! *All products were purchased with my own money. All opinions are my own. I was not compensated for this post in any way.